Recorded live in the studio in Germany's now legendary Radio Bremen studios on May 25th, 1970, this session aired on Episode #55 of The Beat Club on May 30th. It is the earliest video that we currently have of the band performing live.This live-in-the studio rendition of Black Sabbath begins with the same rain and church bells intro that opens their debut album. This is a slow, plodding and primal reading of the song, but it's raw and dangerous sounding. The real treat here is getting to see the boys so early on in their careers!Next, they launch into a high-octane version of the Carl Perkins rock and roll staple Blue Suede Shoes with an intensity that is in complete contrast to the song they played before. 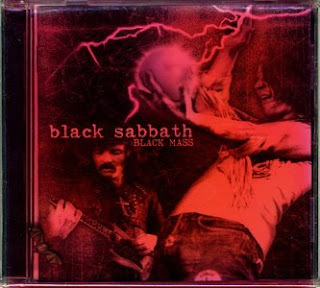 Ozzy sings in the characteristically nasal tone that he had during this period, while Iommi spews out a spiraling guitar solo over the frantic shuffle beat. This is the only recorded version of Sabbath playing this song. The band didn't intend for this soundcheck recording to air, but the producers thought it was worthy of the program. These tracks are taken from the audio portion of their 2nd appearance on German music program 'Beat Club episode #59'. This was shortly after the release of the PARANOID album. Sabbath performed live on this TV soundstage with loaned equipment, leaving many viewers to believe that the band really used Orange amps! The new equipment may be at least some of the reason that the band isn?t sounding as stunning as usual. Tony?s guitar goes slightly out of tune during oIron Mano and he seems to be generally going through the motions to make this one work. Ozzy completely messes up the first two verses and ends up inverting and reusing several earlier lines from the song. Please reup the lossles album please.